Comfortable and cool and someone going for that horsey in blinders feeling. 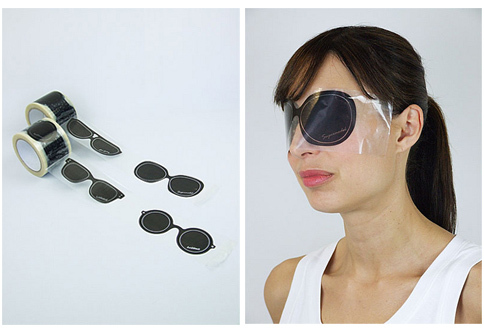 I guess you don't have to worry about losing your sunglasses when they are stuck to your face. For more unusual designs and wares that you can buy go here. You know, I'd actually try these out if I weren't claustrophobic.